I recently saw this movie was seriously traumatized by it. Instead of Fight to Win it went by the name Eyes of The Dragon. I knew about Rothrock being in it which is why I sought it out. 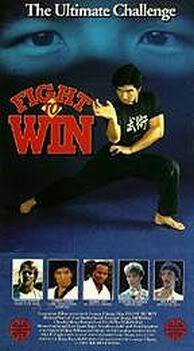 When the opening credits started up I was like a kid in the candy shop, Superfoot Bill Wallace (who taught me how to stretch and throw a side kick), Chuck Jeffreys (a favorite ever since seeing him in Bloodmoon), and Richard Norton (one of the most glorious mullets ever to flow across shoulders in a martial arts movie). Then reality kicked in and I realized that I was going to be in for a long night. Actually the movie was so painful I had to split it up over three different nights. The direction and camera work stunk. The story was just flat out retarded. Honestly George Chung should not have been the lead in this movie. Horrible acting, no charisma, a big zero. Rothrock and Norton brought up the heat a bit but still with a crappy screenplay even they couldn't be their best. 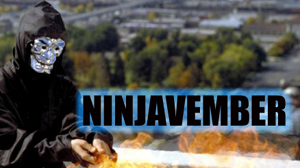 Normally these 80's action/martial arts movies have basic stories about revenge but he action and awesome fight scenes make up for the lack of plot and character development. This movie had some of the worst fight choreograph ever put to film. The only saving grace of this movie is Ronnie Lott. When he rolled up to the scene on his four-wheeler blasting everyone in site like Steve James in his Jeep in American Ninja, it was a thing of beauty. It brought a smile to my face and actually made me feel like it was worth it to sit through 90 minutes of excrement to see 45 seconds of brilliance. Which brings up the point, why not have Ronnie Lott be the lead? He only had two lines but he had such charisma and screen presence that his cameo basically carried the whole film. George Chung couldn't carry Ronnie Lott's jockstrap. The film would have been legit if Lott was the main man. I agree with your Zubaz rating of 3/7, without the heist act and Ronnie Lott it would've been down at 1/7 but twisting the heist into the story at the last minute with Lott as the cherry on top was one thing that this Fong and Chung got right. BigD, first off I'm glad you found us! It's always cool to connect with others who like (or have at least suffered through) these sorts of films. You're absolutely right that from a technical perspective and by most traditional quality markers, this was a tough watch. I still found some things here and there to like but agree that Chung functions better as a supporting player and not the main protagonist. Still, I'll have to disagree with you as I found him entertaining and a bit charismatic. He's more natural with dialogue than a lot of his b-movie brethren who seem to lack any inflection or emotional investment in their line delivery. A Ronnie Lott action film though? Man, take my money. I'm all over that.